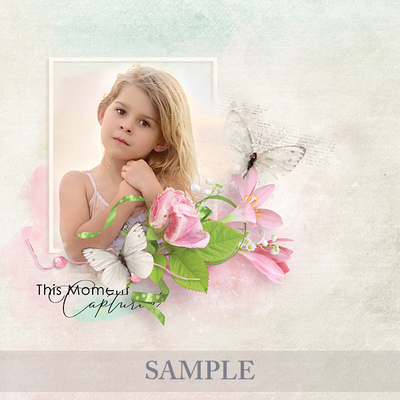 The sweetness of everyday moments is captured with the Floral digital scrapbooking kit. The fragrance of spring is portrayed through its pink roses, lily of the valley and apple blossoms. This pack contains 26 elements in PNG and 9 papers in JPG.